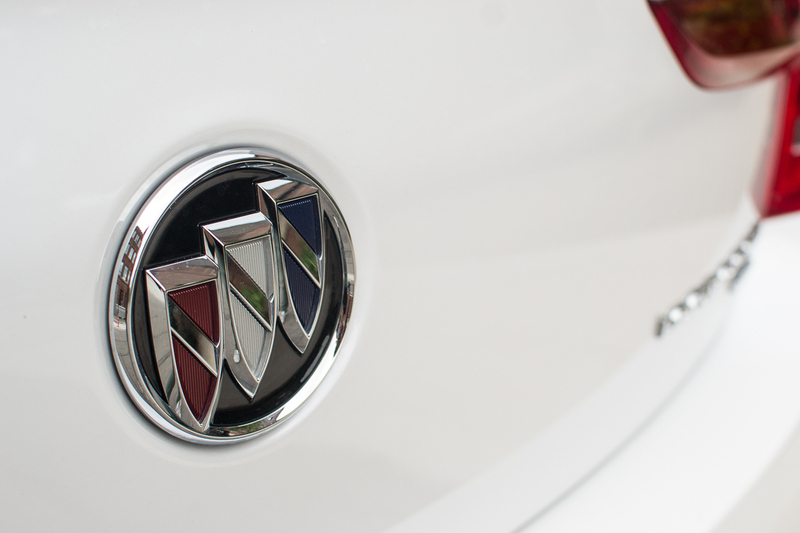 Buick occupies an odd place in General Motors’ brand portfolio. It’s more premium than Chevrolet, but not nearly as luxurious as Cadillac. This middle ground can be a difficult space to operate in, as you end up with a vehicle that’s not very affordable nor very luxurious. 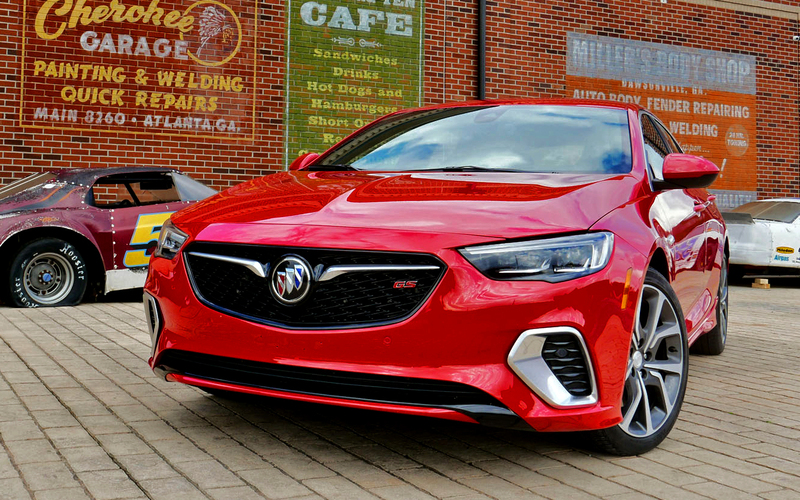 Buick’s high-end Avenir nameplate complicates things even further – adding a bunch of fancy equipment to a semi-luxurious car and raising the price so it encroaches on some Cadillac products. For that reason, the huge Buick LaCrosse Avenir can be a bit of a confusing car. It’s luxurious, but it’s not quite a luxury car. Allow us to explain why that is, and why it may not be such a bad thing for those in the market for a big, quiet, well-equipped four-door. The LaCrosse Avenir packs a 310-hp 3.6L V6 under its hood, which is paired with a nine-speed automatic transmission. Front-wheel drive is standard, but all-wheel drive is available for a $2,200 premium (an extra $2,600 in Canada). This setup is nothing fancy, but it gets the job done, moving the LaCrosse Avenir with more than enough gusto for the conservative buyers that will likely find themselves behind the wheel. The full-size sedan will accelerate from 0-60 mph (0-100 km/h) in about 6 seconds and feels plenty quick when accelerating from 40 mph (60 km/h) or so. The nine-speed also shifts fast and smooth both under wide-open-throttle and when cruising around town. More than anything, we appreciated the powertrain’s silent running operation. You’d be forgiven for not knowing the LaCrosse Avenir was even on, it’s so quiet. The ride is next to noiseless as well, partially thanks to the interior Active Noise Cancellation system. Ride quality is good, although it’s not nearly as adept at dealing with rough roads as some true luxury cars we’ve experienced. It feels like the quieter, more solid Chevrolet Impala that it is. 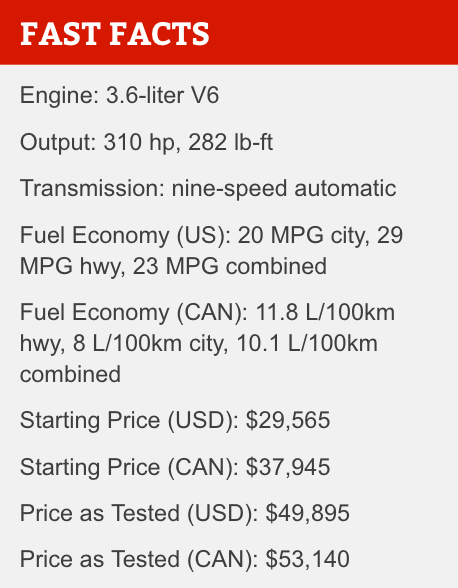 If you want to sharpen this big sedan’s floaty ride, GM offers a Dynamic Drive Package for $1,200 ($1,870 in Canada). It adds adaptive dampers, an upgraded front suspension, a Sport button, and 20-inch wheels, but we’d avoid it. 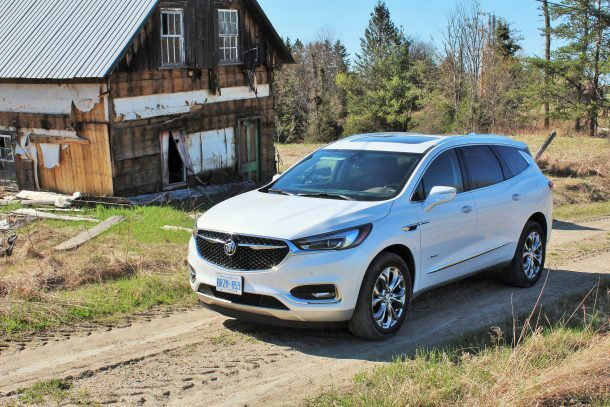 The LaCrosse is at its best when lumbering along at city speeds or cruising down the highway, so this sport-inspired package is pretty pointless, if you ask us. The 20-inch wheels are also a bit too large for our tastes and aren’t worth the harsher ride. While the powertrain and ride quality aren’t too far off from some true luxury products, the interior leaves room for improvement – even when compared with those from similarly priced premium rivals like Volvo and Infiniti. The faux wood grain trim isn’t the best addition – it looks and feels a bit cheap. Speaking of plastic, there’s roughly an acre of it on the center console around the gear select lever. The cheap-looking lever looks like a knock-off BMW gear selector and isn’t very intuitive to use. It’s also not very responsive to inputs, sometimes taking a second to engage once you’ve selected a gear. This can be especially maddening when trying to pull off a quick three-point turn. We’d prefer a rotary dial for the gear selector, to be honest. Other details were also overlooked. The steering wheel stitching wasn’t carefully executed, appearing inconsistent and a bit messy in places. The seats were also a bit flat and not very ergonomic – we’ve sat in a 2005 Volvo S60 with more supportive chairs. We weren’t big on the eight-inch touchscreen either. Like all the touchscreens in all GM products, it was straightforward and easy to use, but in this day and age, it just isn’t advanced enough. The graphics look cheap and outdated and the touch response is laggy. It even lags out when you try to pinch-to-zoom the navigation map. When entry-level luxury products like the Mercedes-Benz A-Class have a great-looking MBUX infotainment system as standard, this cheap-looking screen is simply not acceptable on a near-$50,000 car. We also think a car in this price range should offer more active safety features standard. If you want advanced adaptive cruise control, rear cross traffic alert, forward automatic braking and front pedestrian braking, you’ll need to order the $1,690 Driver Confidence Package II ($1,860 in Canada). The 2019 Honda Civic, which starts at $20k, has standard collision mitigation braking, road departure mitigation, lane keep assist, adaptive cruise control and more, so we think the LaCrosse should definitely have these options as standard in the range-topping Avenir trim. It’s not all bad, though. We liked the look and quality of the brown leather upholstery and thought the Avenir logos stitched into the seat headrests were a nice touch. The graphics for the digital driver’s display also looked crisp and the various menus were easy to read. The Bose stereo sounded great, too, and will be appreciated by everyone from classical music fans to hip-hop heads. 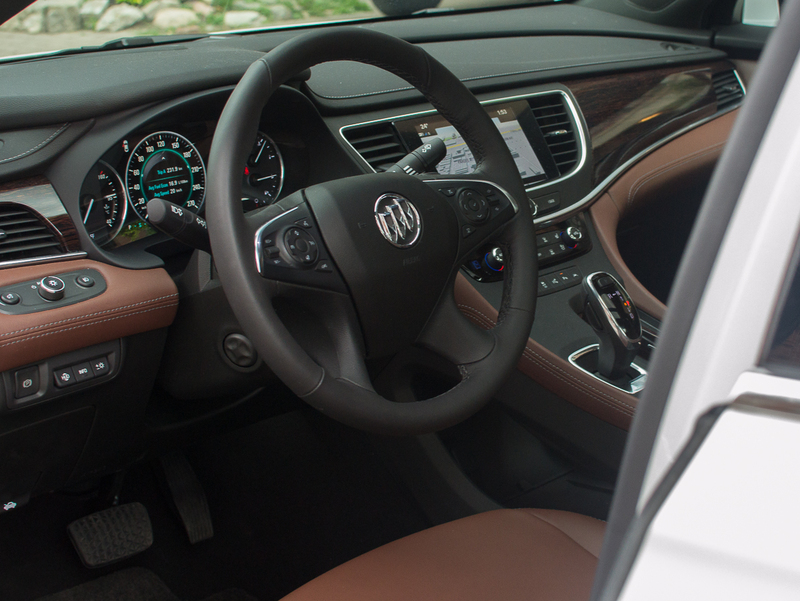 We still think Buick needs to step up their interior materials and quality a notch though – especially if it hopes to lure customers away from their Infinitis and Volvos. 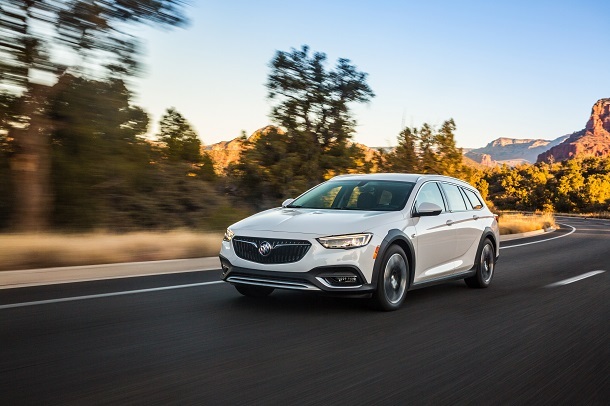 While the range-topping LaCrosse Avenir isn’t that good of value, a carefully equipped LaCrosse is an attractive proposition for anyone in the market for a full-size luxury sedan. While we’d steer clear of the base model with the wheezy 2.5L, the V6 can be had in the Preferred trim from $34,595 in the U.S. Steer clear of all-wheel drive and you’ll end up with a very well-equipped, 310-hp full-size luxury sedan for just over $37,000. It’s hard to knock a package like that – no matter how questionable some of the interior materials may be. The LaCrosse’s price tag is impressive when you consider that the compact BMW 3 Series starts at $35,000 and the mid-size 5 Series starts at just under $50,000. 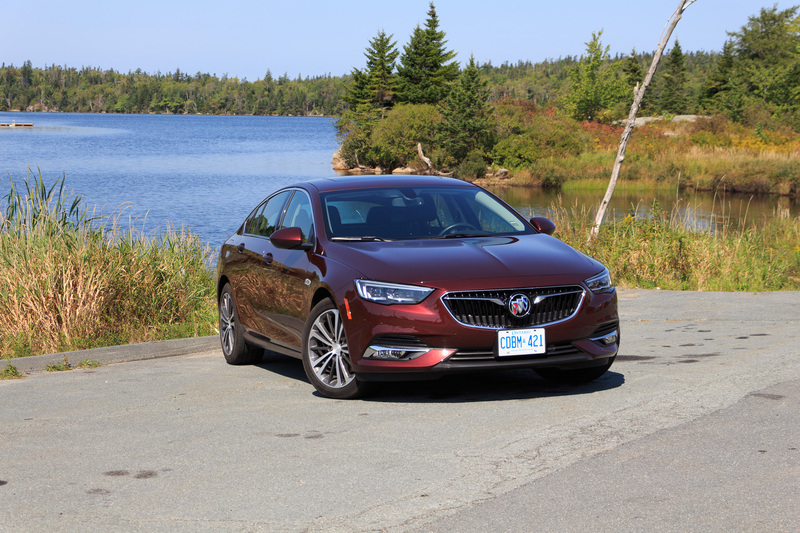 The Buick may not be a true luxury proposition like a BMW or Mercedes-Benz, but if all you want is a big executive sedan that’s comfortable and quiet, the LaCrosse offers unignorable value if you go easy on the options. A true, sport-inspired luxury proposition it is not, but the Buick LaCrosse is a bargain if you’re in the market for a quiet and comfortable full-size luxury sedan. With a quiet ride, sweet available V6 engine and a very reasonable price tag, we’d say it’s worth checking out for anyone who appreciates a classic, floaty American ride. The loaded LaCrosse Avenir that we tested is needlessly expensive, however, and needs to be better equipped to be a true answer to products like the new Lexus ES.